Silicon Knights is mixing hate crimes and superheroes in its upcoming game, X-Men: Destiny. Details on X-Men: Destiny have been a little hard to come by. Aside from the few facts that people have been able to glean from the two teaser trailers - there's a war going on, and choices will be involved - we don't what the game is about, or even what kind of game it is. Gameplay details are still virtually non-existent, but a preview in the latest issue of OXM UK has offered a glimpse at the game's story. The game is set during the very height of anti-mutant hysteria. Hate crimes are rife and the X-Men have suffered a terrible loss. If the games are following the events of the comics, this could be Jean Grey, who was killed off a few years ago. The player is, predictably enough, a mutant, and the child of an anti-mutant "zealot," who considers this next stage in human evolution to be a huge mistake. 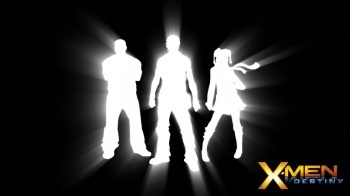 Players will chose one of three characters, all of whom have been integrated into the X-Men canon. Players will be able to modify their characters mutant powers by collecting - or perhaps harvesting - the genes of other mutants. OXM also says that there are a lot of opportunities to make choices and decisions in the game. Besides the players' characters, the game will also feature long-standing characters from the comics like Gambit and Magneto, as well as newer characters like the electricity-throwing Surge. I wouldn't be surprised if the game turns out to be an action-adventure title with RPG elements blended in, not entirely unlike Silicon Knights' previous game, Too Human. X-Men Destiny is penciled in for release in either the third or four quarter of this year. Publisher Activision has yet to announce what platforms it will come out on, but Xbox 360 would seem to be a given now, and it's hard to imagine the game skipping the PS3.